On September 4, 2016 at Aqura Home’s event held in Shinjuku, Seikatsu Kakumei’s Pepper system (already experienced as an event guide and spirit booster) was a big hit. 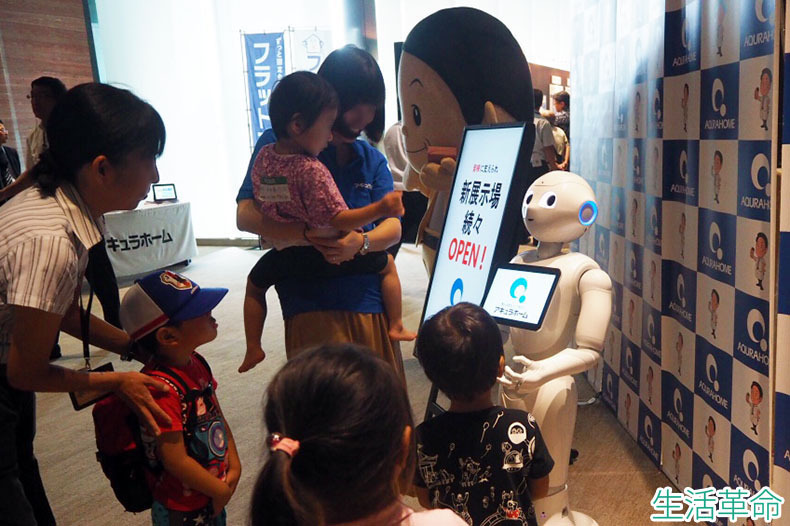 As with the school open house event we reported on a while ago, using Seikatsu Kakumei’s robot booster technology, children can be distinguished from older people (for example) and appropriate, flexible conversations are held, bringing good spirits to event receptions. Not just a regular event guide or host, contents are also used to spread knowledge about Aqura Home’s efforts and inform guests about business activities in a fun way, supporting the event in all aspects. 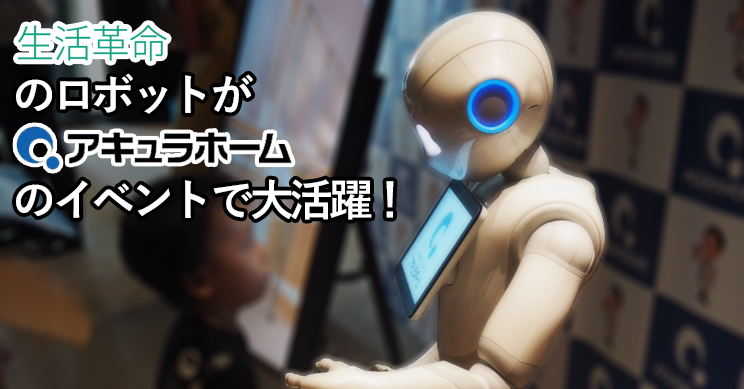 Aqura Home, a challenging housing manufacturer, also uses robots for permanent exhibitions at residential exhibition halls So, assisting them in that effort is our own Seikatsu Kakumei. Seikatsu Kakumei’s Pepper also gives nods to topics popular with children. We do Events for Different Types of Industries! 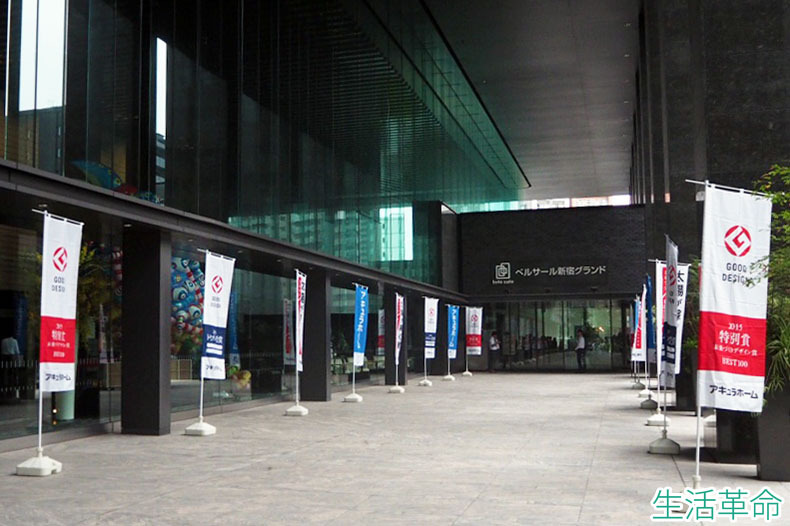 This time, we discussed housing manufacturer Aqura Home’s event, but Seikatsu Kakumei’s robot systems can be employed at all kinds of events. Starting from the example touched upon earlier of a student conference, our possibilities are open to numerous industries. If you are organizing or directing an event where entertainment is needed for the young and old, male and female alike, especially family-oriented events, please consult with us. Our cooperation will surely bring your event to great success. At our company, we take a large number of orders for Pepper event rentals, so please contact us for a consultation or inquiry ASAP. ← [Case Study] Pepper a Success at Aqura Home’s Big Thanks Event AGAIN! …In a new style!